Christopher Paolini's abiding love of fantasy and science fiction inspired him to begin writing his debut novel, Eragon, when he graduated from high school at fifteen after being homeschooled all his life. 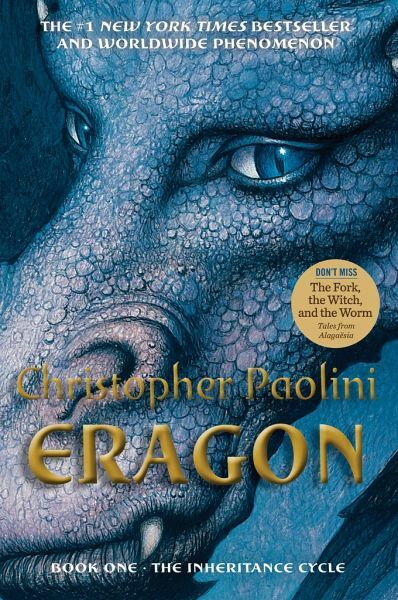 Both Eragon and Eldest, the second book in the Inheritance cycle, became instant New York Times bestsellers. Christopher is currently at work on Brisingr, the third volume in the cycle. He lives in Montana, where the dramatic landscape feeds his visions of Alagaësia. You can find out more about Christopher and Inheritance at .